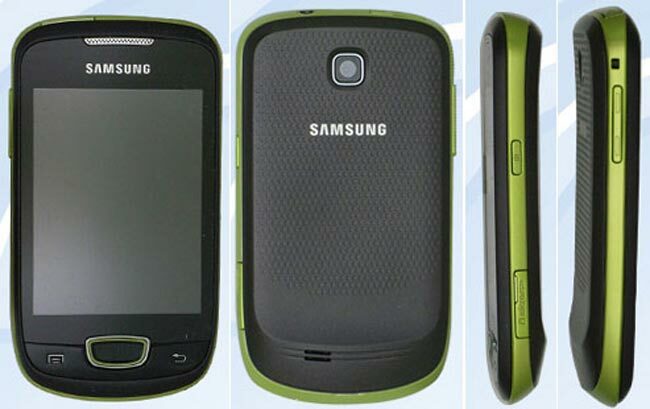 Earlier today we saw some photos and specifications on the new Samsung Galaxy S Mini, or Samsung S5830, now we have another Samsung Galaxy smartphone, the Samsung S5570 which is being called the Samsung Galaxy Mini. Does this mean that Samsung are launching two new mini Android smartphones in the Galaxy range, it certainly looks like it as the specifications are different than the Galaxy S Mini we saw earlier today. As you can see from the photo above it looks like a different phone, and it also will come with a 262K 240×320 resolution screen, 802.11 b/g/n WiFi, Bluetooth 3.0, a microSD card slot and it will come with Android 2.2.1. You can see more details about the Samsung Galaxy Mini smartphone over at Samsung Hub.